We understand how important it is for colors to match or compliment one another in spaces that are meant to inspire. 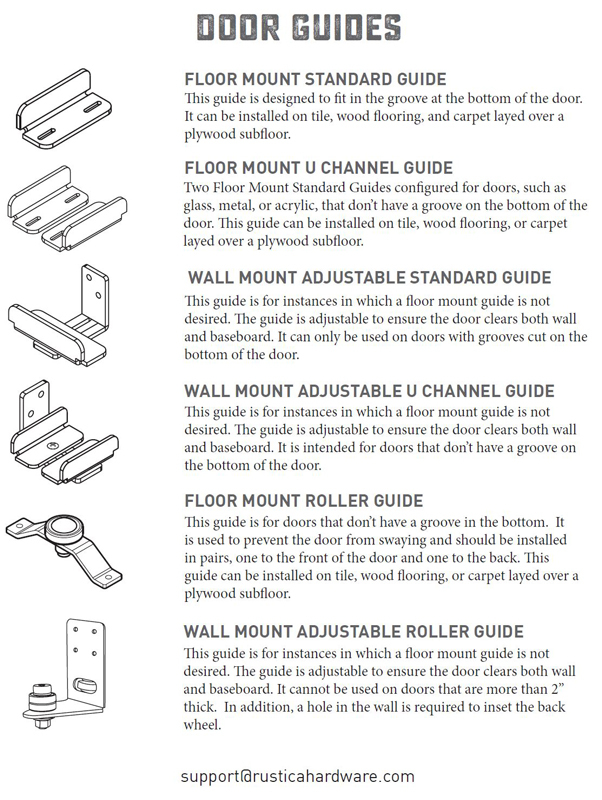 Choose from our list of existing hardware finishes and textures to make sure you get the perfect match for your project. 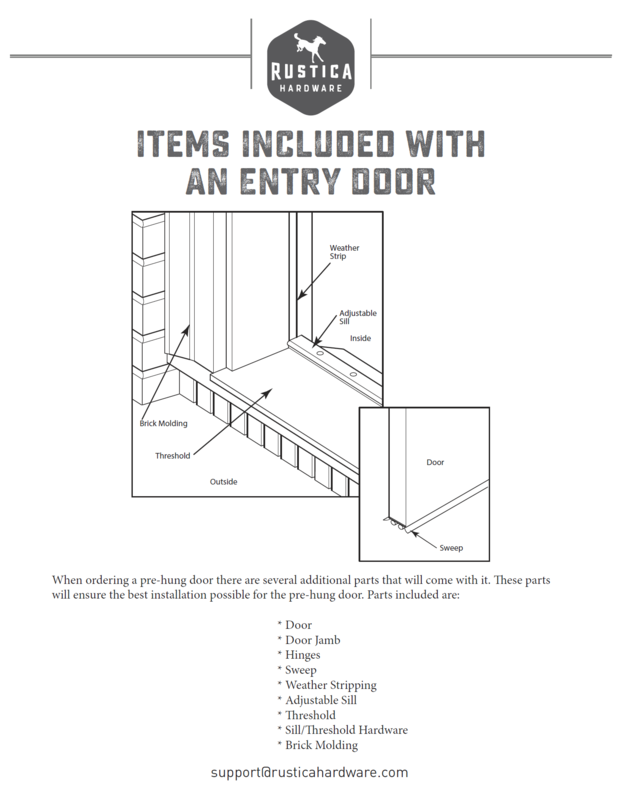 Not seeing a finish you’re looking for? 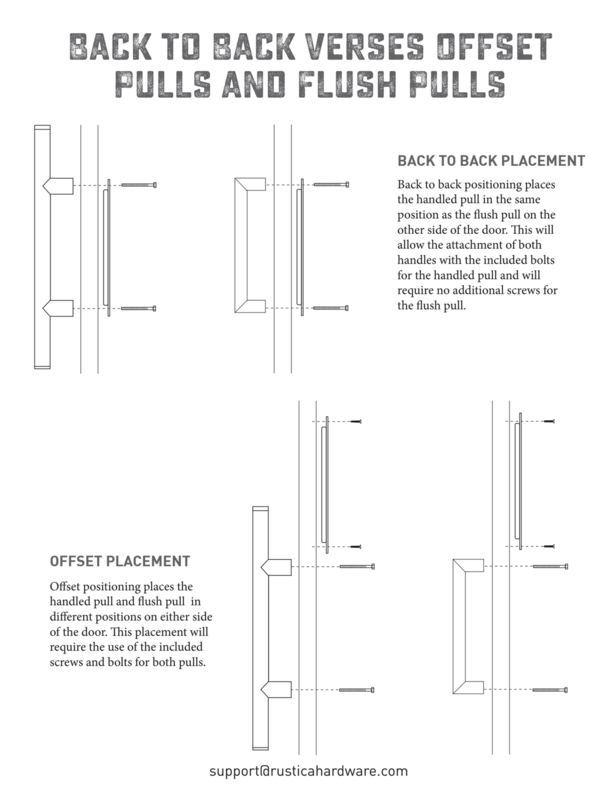 No problem, please contact a sales rep to request a custom finish. 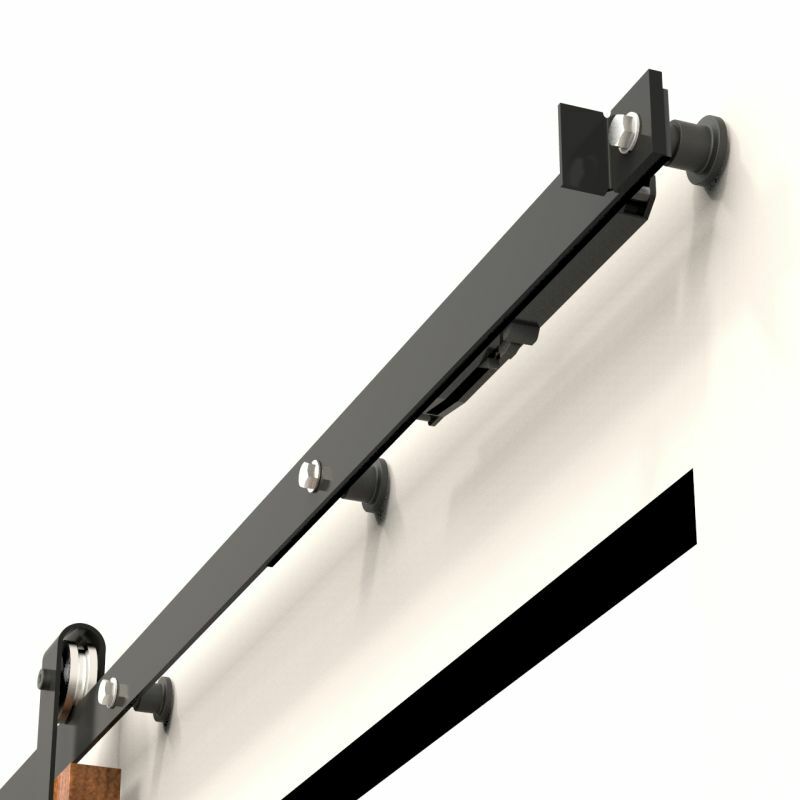 All of our metal finishes are displayed on actual steel, not plastic recreations of what our finishes look like. 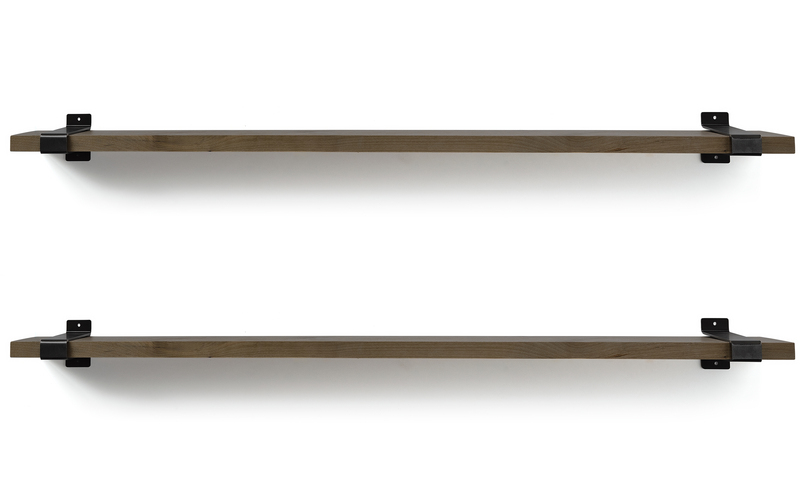 Get a Brushed Stainless Steel sample for a modern look. Leaning more toward a Tuscan look? 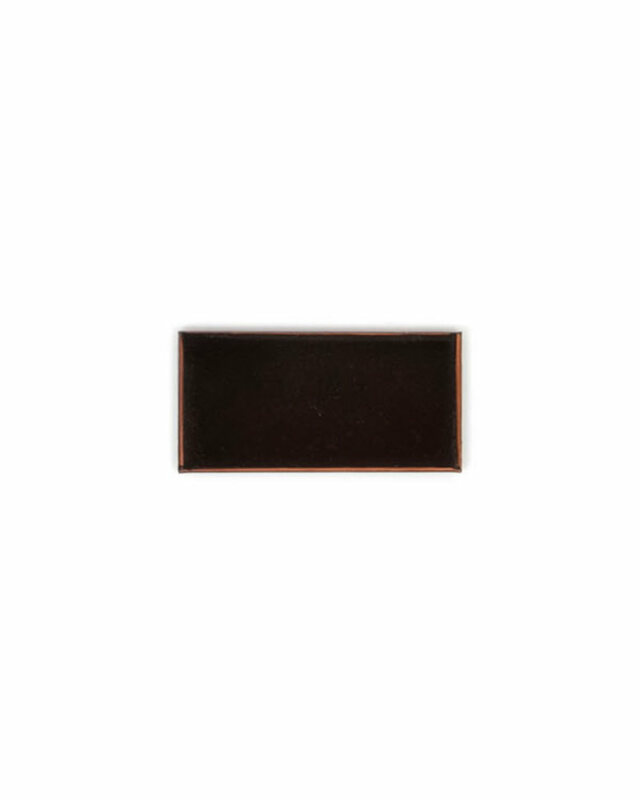 Check out our Aged Oil Rubbed Bronze finish. If you can’t find what you’re looking for, please contact a sales rep to get the process started for getting a custom sample made for you! 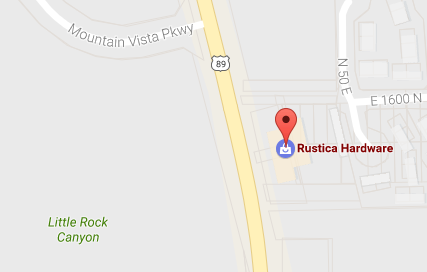 Rustica offers our full selection of door hardware finishes for you to sample and find a perfect match based on your style and taste. 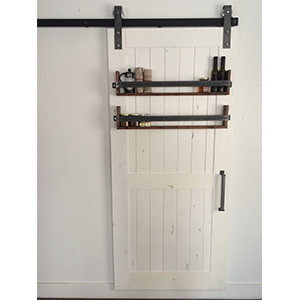 Test all of our metal finish samples today and browse all of our barn door hardware for your doors. 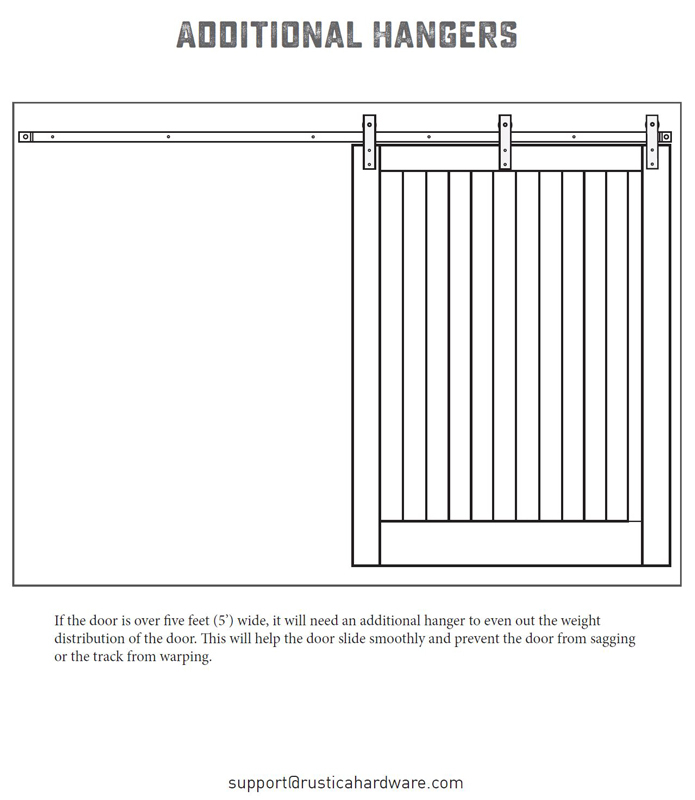 Introducing an easy solution to little ones slamming your barn door! 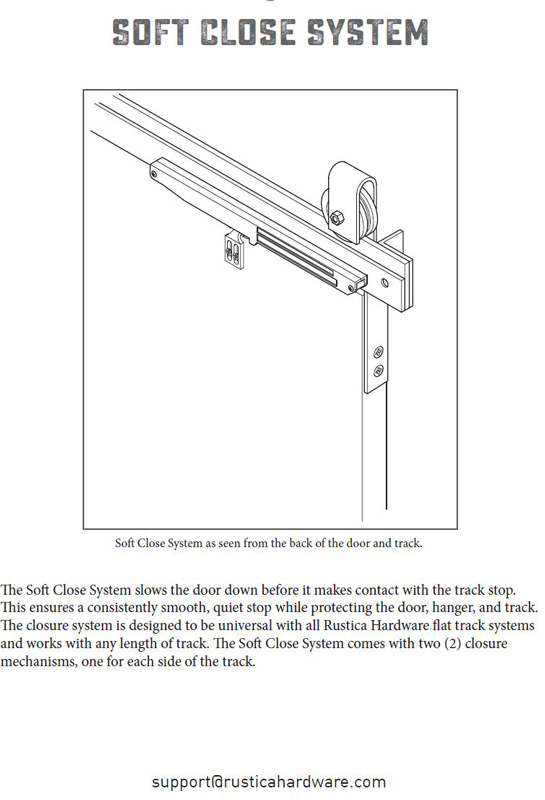 Our new Closure soft-stop system slows you door down before it makes contact with the track stop. 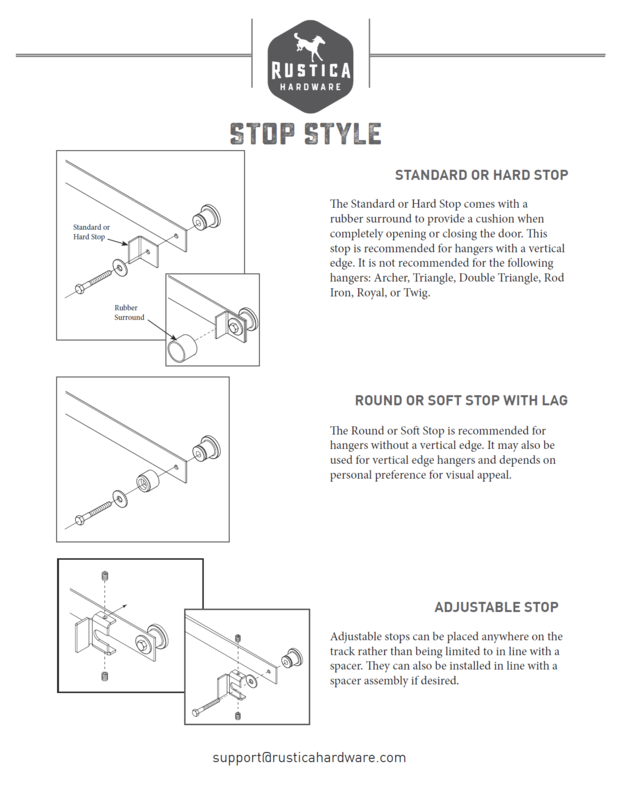 This ensures a smooth stop every time. 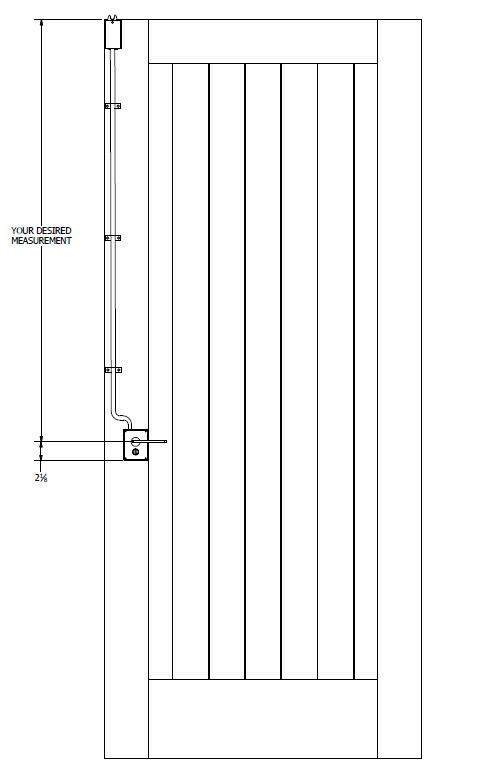 The Closure system has been specially designed to be universal with all Rustica Hardware flat track systems, no matter the length of track this product will work with your flat track system. 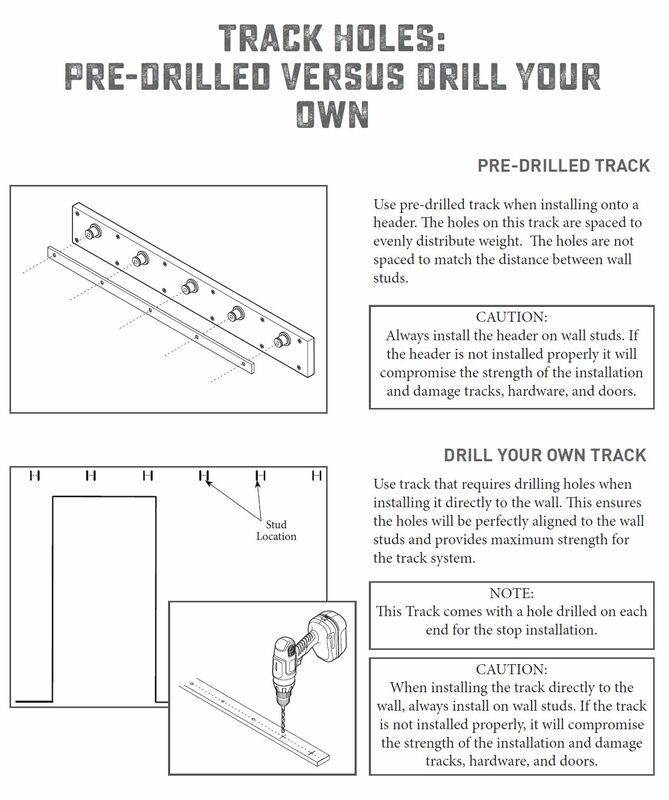 Product comes with (2) Closure mechanisms (one for each side of the track system) to protect your system whether it’s being opened or closed. 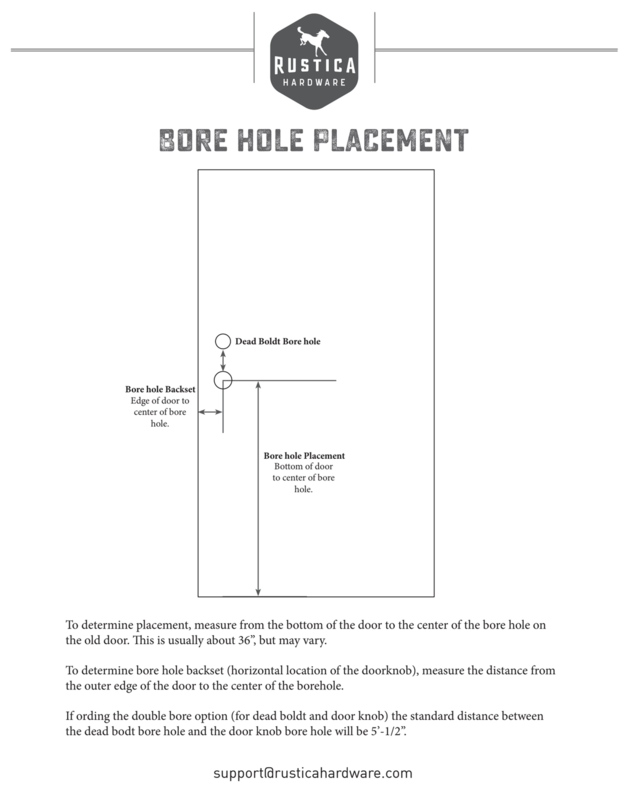 Placement is measured from bottom of the door to the door bore hole. 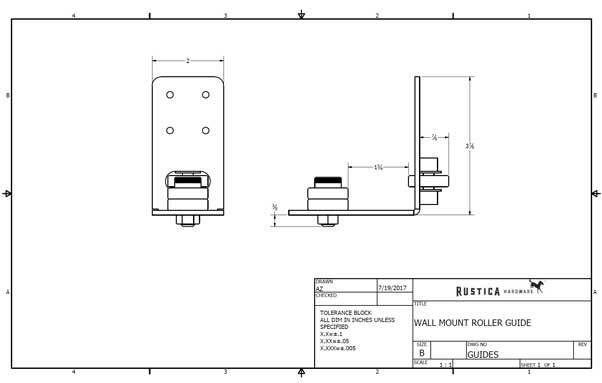 Standard is 5'-1/2" above door knob boring. Our designer corbels are sold in pairs. Each pair of mantel corbels is made of solid alder wood and designed for use with our floating mantel shelves. 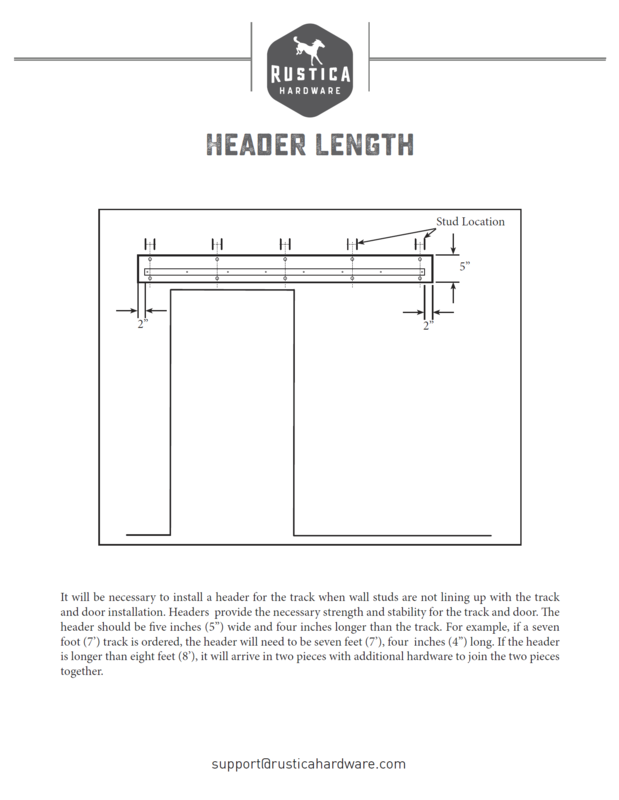 Corbels are easy to install and add a substantial design feature to your mantel space. 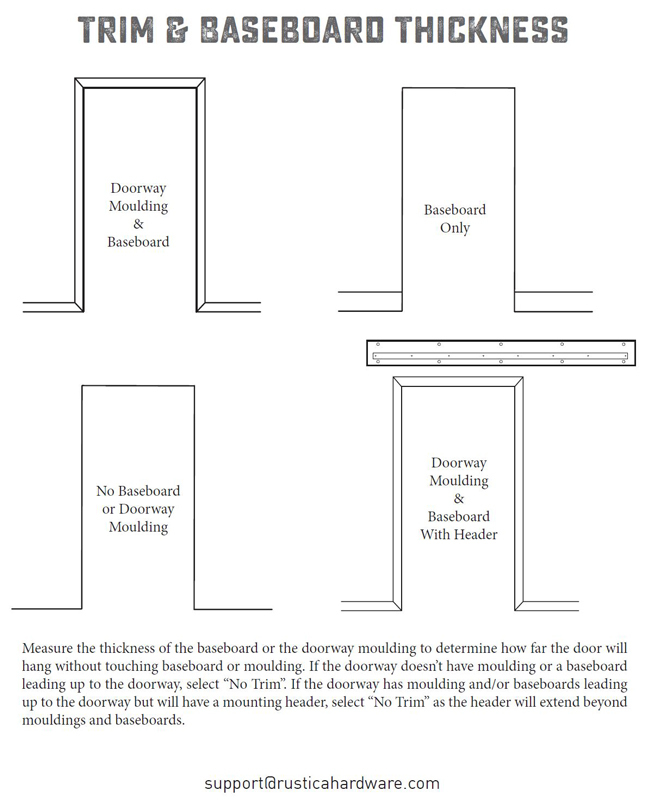 Corbels will come finished to match the color and texture of your selected mantel. 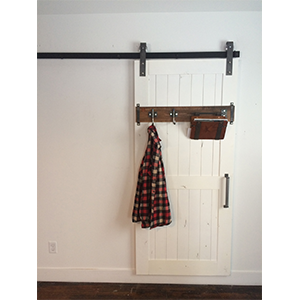 All of our solid wood doors are made from the finest grade knotty alder or poplar. 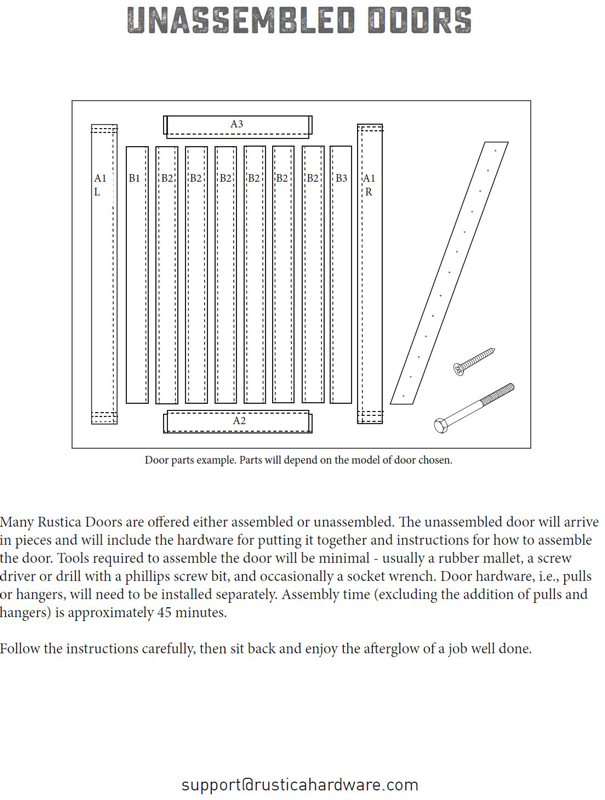 The species of wood that a door is made from is based on the finish that is selected for that door. Knotty Alder is more rustic and full of knots that are prevalent in the finished look. Poplar is a cleaner wood in that it has less knots for a more seamless look. 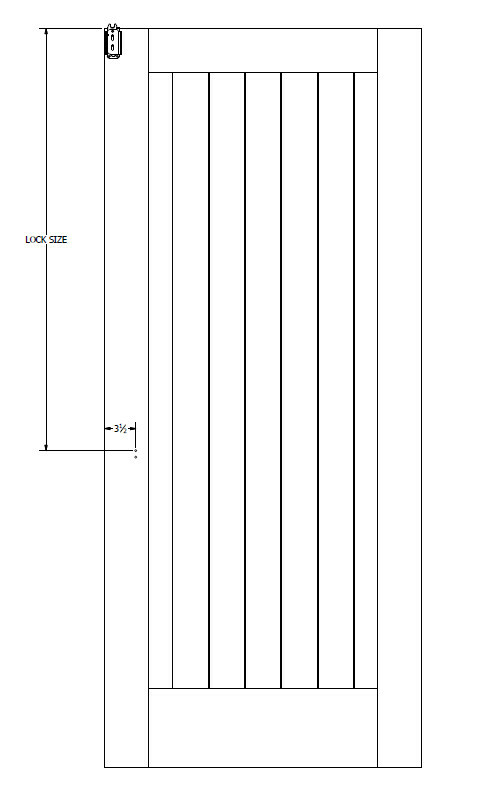 This is the width, height and thickness of the door itself. 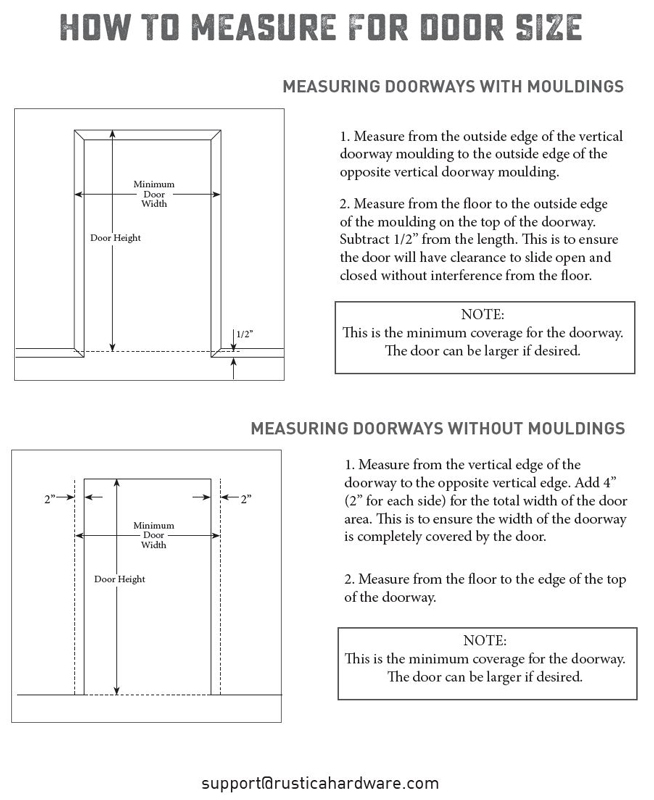 If you are replacing a slab (door without the jamb), fill in the exact measurements of the existing slab. 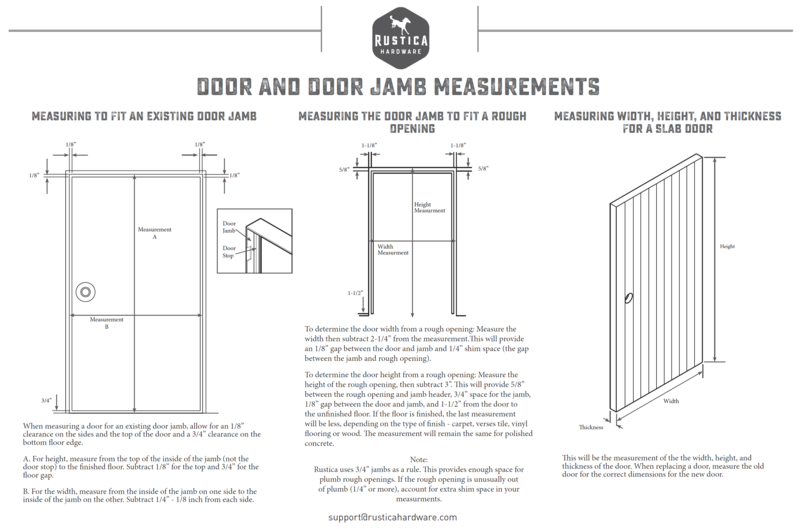 To measure rough opening height, measure the distance from the stud above the door opening to the floorboard at the bottom of the door opening. 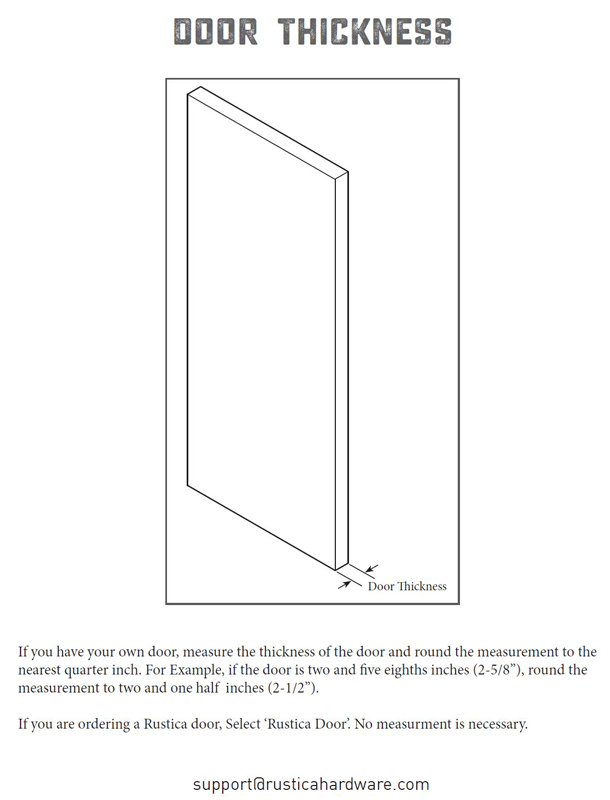 To measure rough opening width, measure the distance from the stud on one side of the door opening to the stud on the opposite side of the opening. 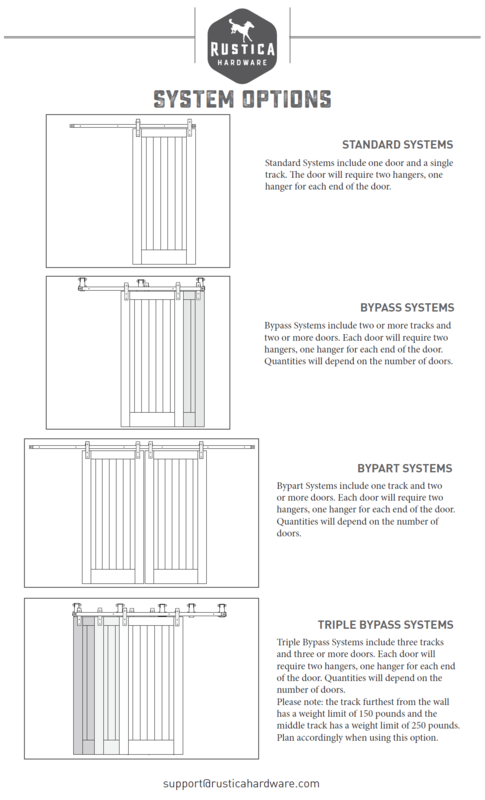 3-1/2" hinges for 1-3/8" doors, 4" hinges for 1-3/4" doors and 4-1/2" hinges for 2-1/4" doors. 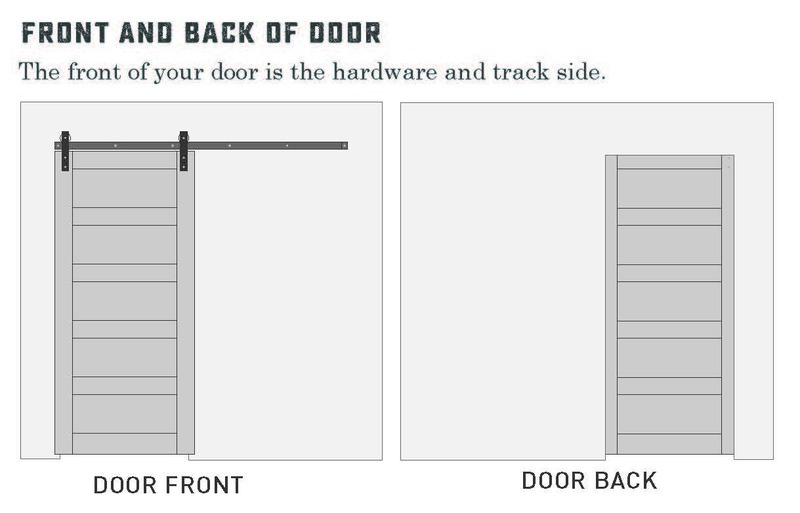 Select which side of the door you'd like your pull/handle to be located when facing the front side of the door (the side of the opening in which you can see your track/rolling system). 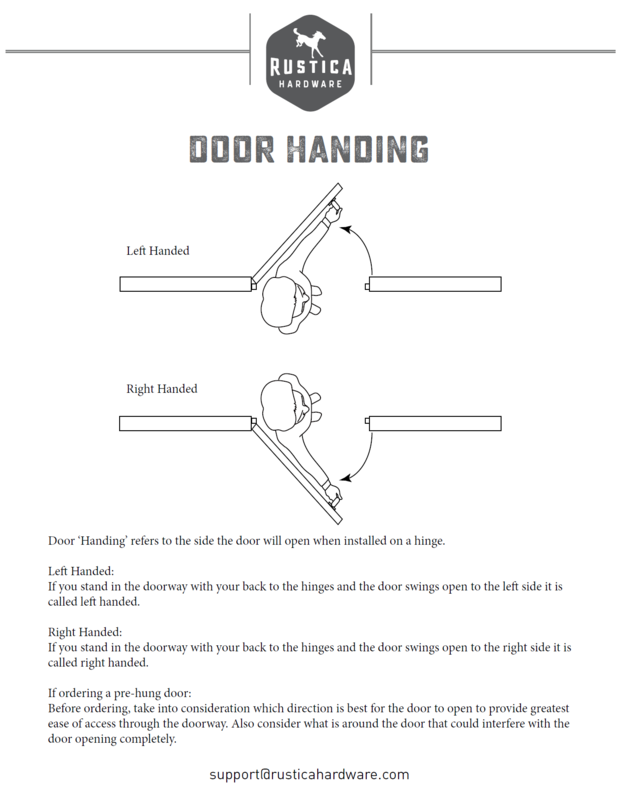 The back side handle will be placed on the same side of the door as your front side handle. 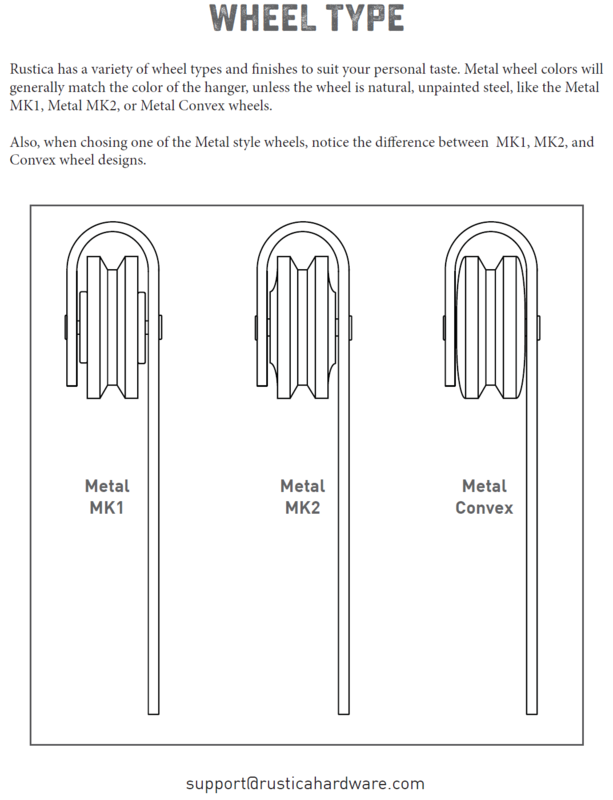 NOTE: The current lead time for Brushed Steel and Brushed Stainless Steel on the Box system type is 7 weeks. 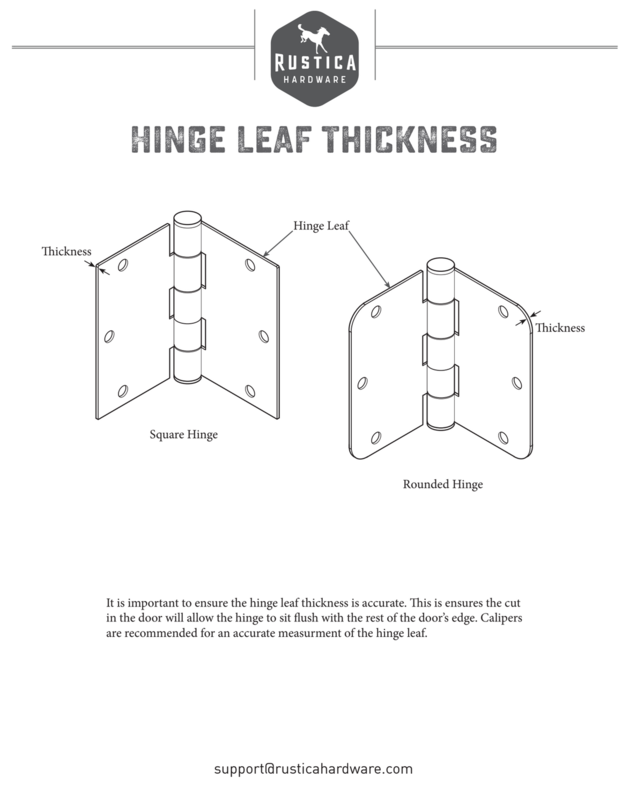 To identify hinge positions, measure from the TOP of the door to the top of each hinge. 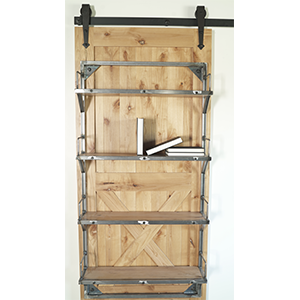 Achieve the popular look of clean modern shelving with a touch of industrial flare with adding our Mountain Modern Floating Shelves to your barn door! 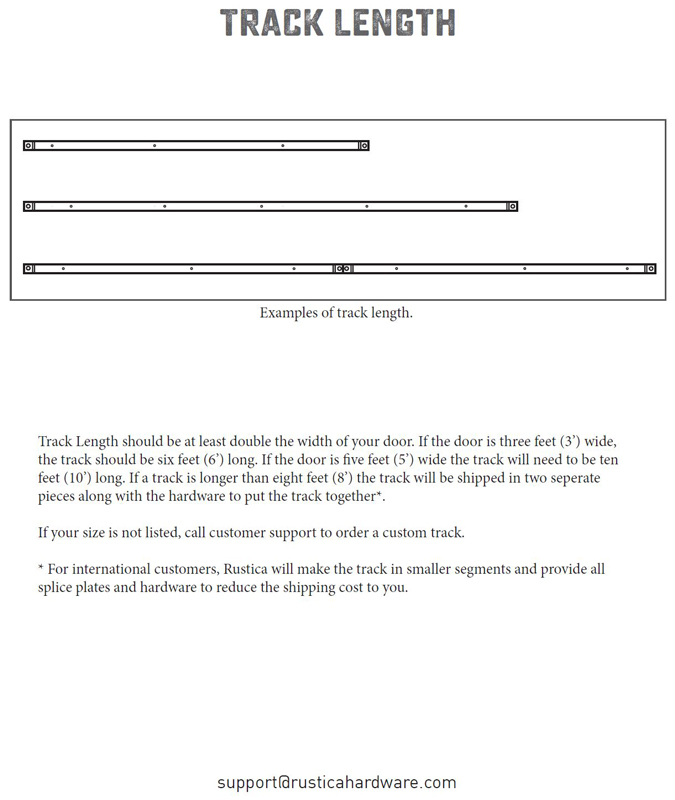 This product includes two matching shelves. 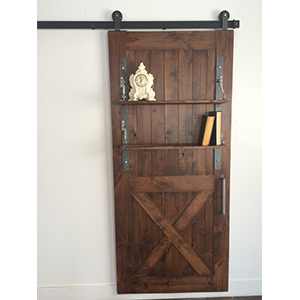 Each are made of solid knotty alder wood, with a craftsman finish. The shelves are accented steel brackets that add character and life to these beautiful art pieces. Each shelf is hand touched by an an American Craftsman to ensure quality and an artists aesthetic.